Stationary Engineering is the study of operation of high pressure boilers and auxiliary equipment. More power plants are needed to meet the electrical needs for the increasing population. 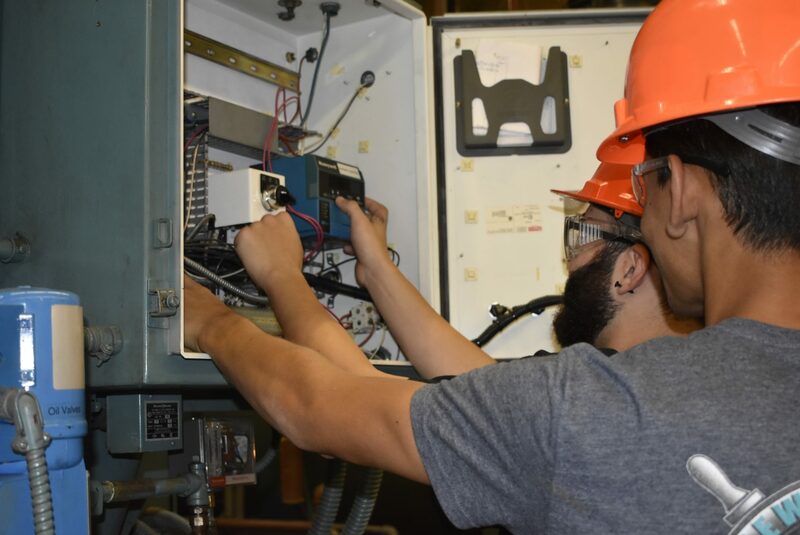 This results in a growing demand for highly skilled boiler operators. Instruction is designed to prepare students for obtaining the Fireman’s license, which is necessary to work as a Stationary Engineer. 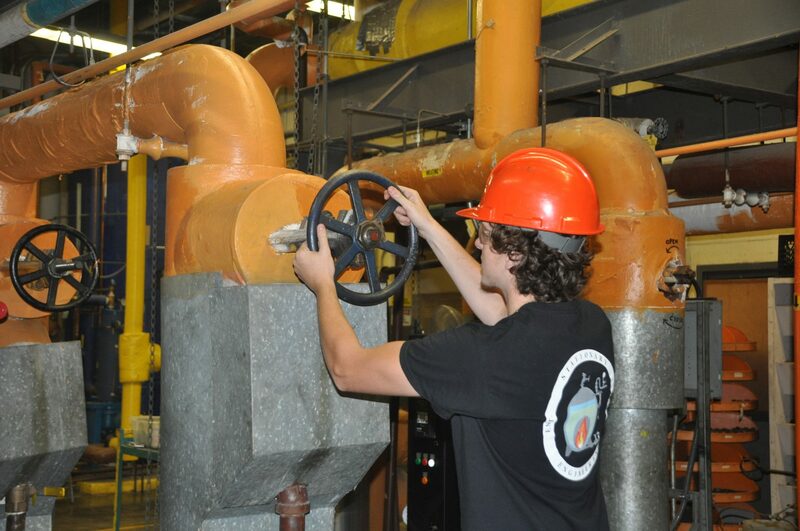 This includes the theory and codes that govern boiler operation. A major responsibility of the Stationary Engineering student is to construct an entire heating system. This starts at the boiler and includes radiators, unit heaters, vacuum pumps and condensation recovery systems. 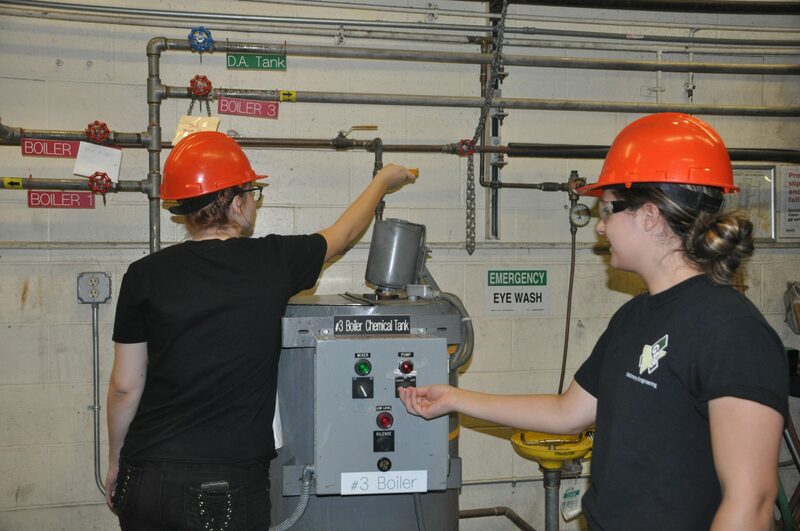 Oil burner technology for use in home heating systems is also a part of the curriculum. 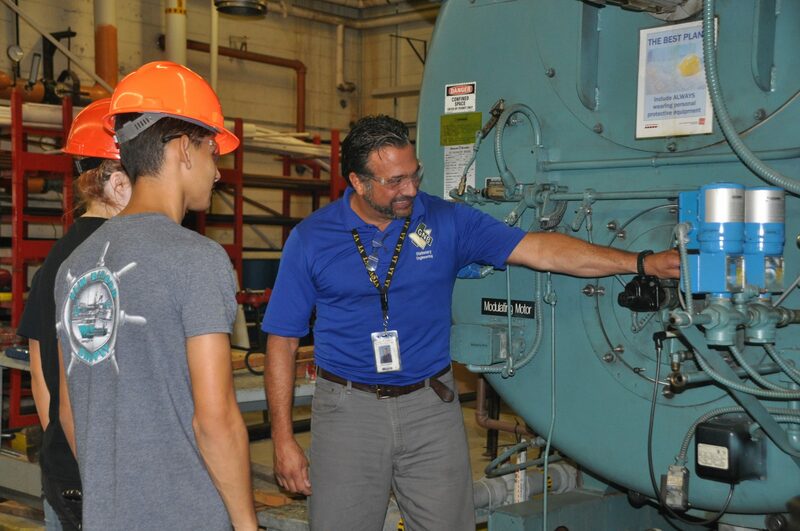 Stationary Engineering students are also responsible for operating the school’s power plant, which provides the hot water, heating, and air conditioning throughout the building. 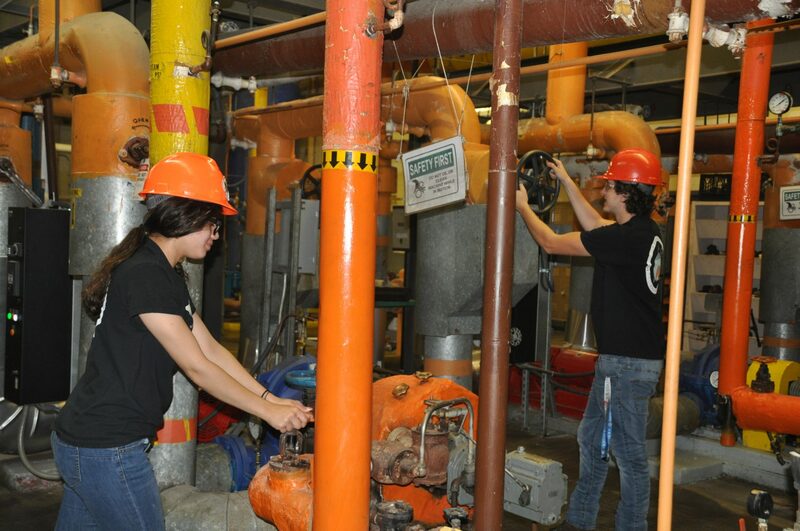 Students are also responsible for operating the gas generator which accounts for 25% of the school’s power. 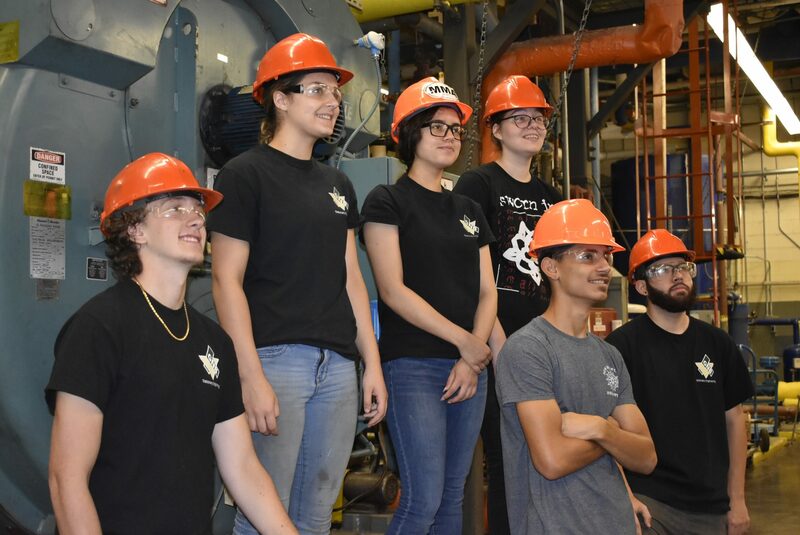 Graduates are qualified to enter the workforce and are prepared to continue their education in marine and plant engineering. 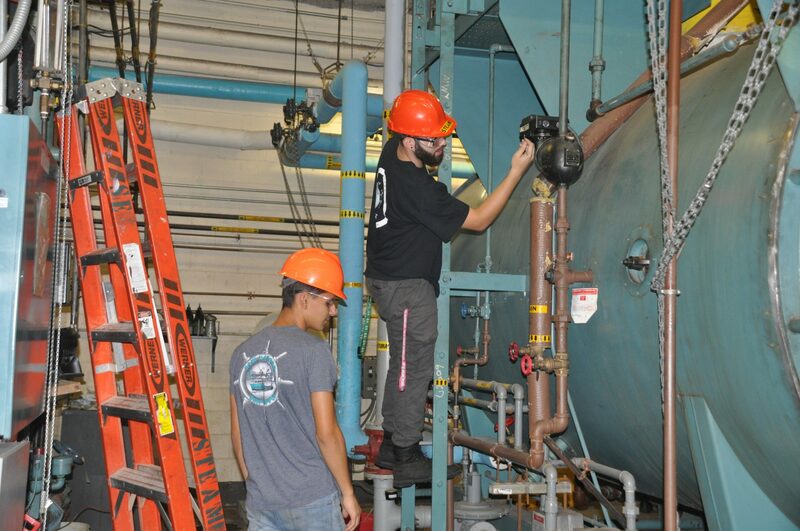 Graduates may pursue numerous career paths, including positions as a boiler operator, oil burner technician, pipe fitter, control technician or in wastewater treatment or maintenance. Eduardo Fragata – Infrastructure Tech.